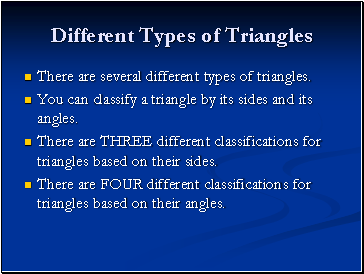 There are several different types of triangles. 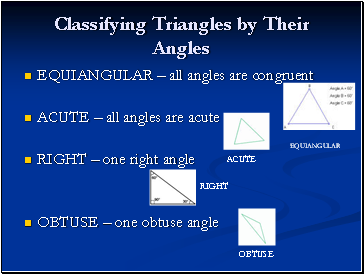 You can classify a triangle by its sides and its angles. 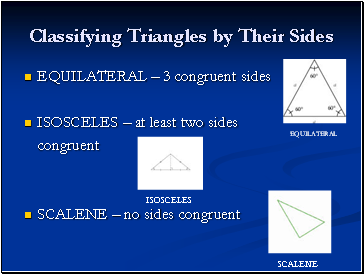 There are THREE different classifications for triangles based on their sides. 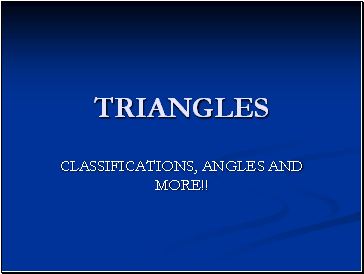 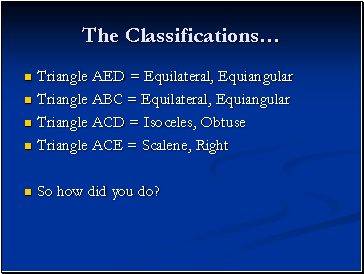 There are FOUR different classifications for triangles based on their angles. 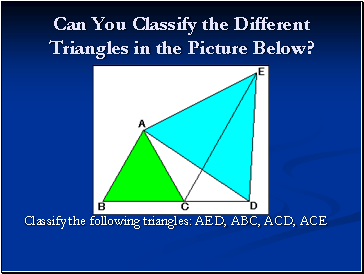 Can You Classify the Different Triangles in the Picture Below?